Entering the 11th Moon, C3 Anime Festival Asia 2018 down South at the city of the puking lion is drawing nearer and nearer, time to panic!! In celebration of its 10th anniversary, the officials spared no expense in bringing in a huge gathering of the big guns and known names from the anime industry to the event itself! Born in Tokyo on September 13th. 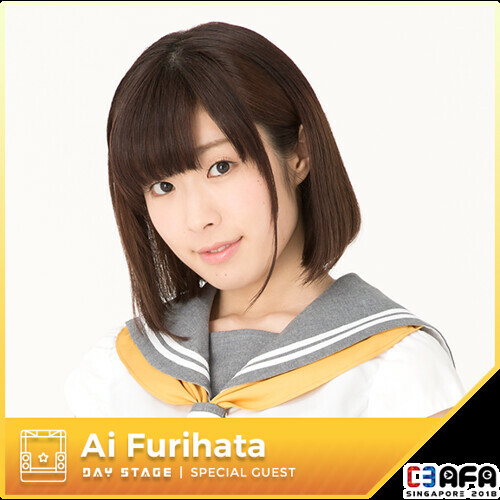 As an voice actress, Ai Kayano takes wide variety of character roles and fascinates lots of fans. 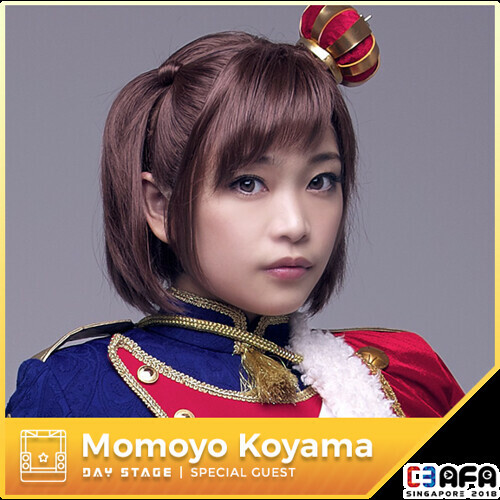 Her credits include being the voice of Meiko Honma (Menma) in “Anohana: The Flower We Saw That Day”, Utaha Kasumigaoka in “Saekano: How to Raise a Boring Girlfriend.”, and Alice in “Sword Art Online -Alicization”, just to name a few. 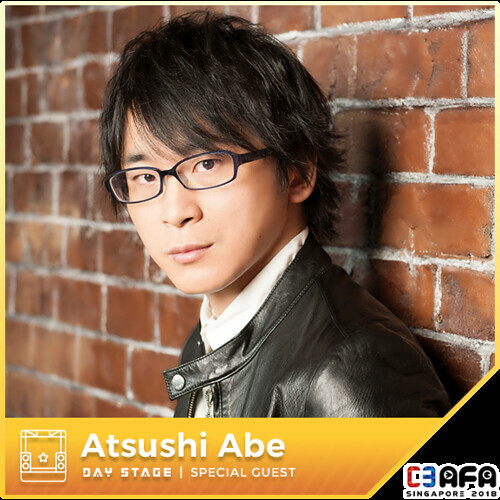 Aside from voicing roles in TV anime, he is also involved in voice work ranging from dubbing of foreign movies to drama CDs and voiced comics. In 2011, she participated in the 36th Horipro Talent Scout Caravan, an audition for the next generation of voice actors. She emerged as a finalist and was signed to Horipro. 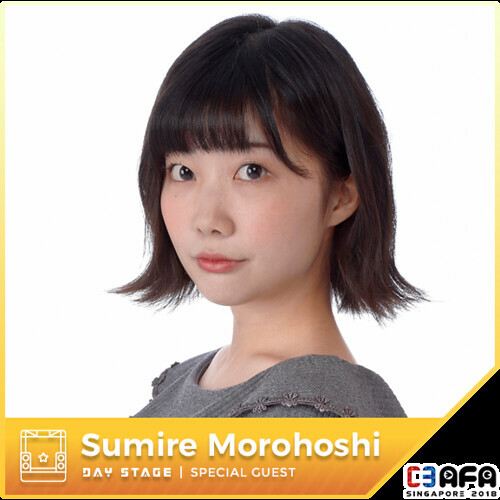 In 2013, she made her voice acting debut as Moe Morita in “Samurai Flemenco”. Since then, she has appeared in various TV anime, games, drama CDs and so on, with her popularity and recognition ever increasing. When it comes to her musical activities, alongside Ibuki Kido as part of the unit every♡ing!, she made her artiste debut under King Records. After graduating high school, in November 2016, her solo debut album “Zenbu, Kimi no Sei da” was released under ZERO-A and Nippon Columbia. In February 2018, she held her second ever solo concert at the Ex Theater in Roppongi. Born 20 September in Mie prefecture. Interests include treating her friends to her cooking. She’s also good at giving nicknames to people. 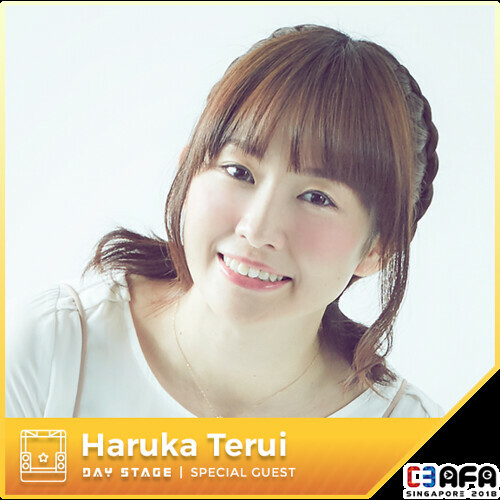 She is credited for several TV anime, including Hresvelgr of Frame Arms Girl, and roles in Riddle Story of Devil and The Pilot’s Love Song. Other non-anime related credits include the titular character in Summer Lesson: Allison Snow Seven Days Garden as well as Mizuki Makabe in THE iDOLM@STER: Million Live! She also reprises the same role as Makabe in cross-media releases like drama CDs, image songs and live performances. 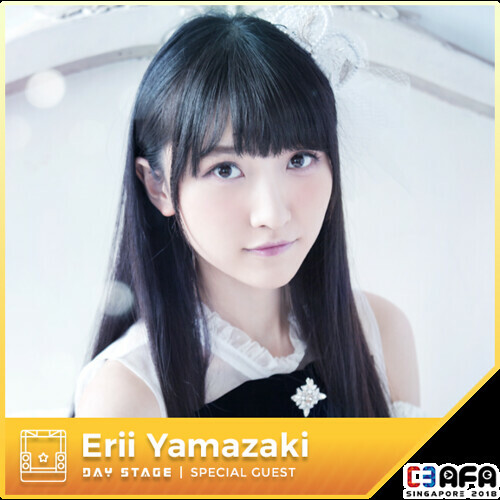 Catch her on stage during the Frame Arms Girl featured anime stage event at C3 AFA Jakarta! 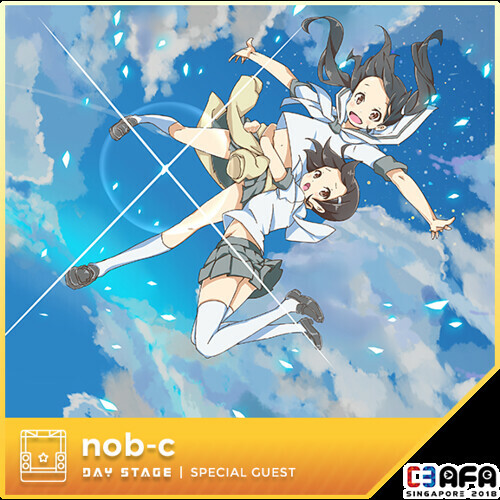 nob-c is a character designer and illustrator. He is known for his warmth in his illustrations and high attention to detail, with high proficiency in delicate graphics. 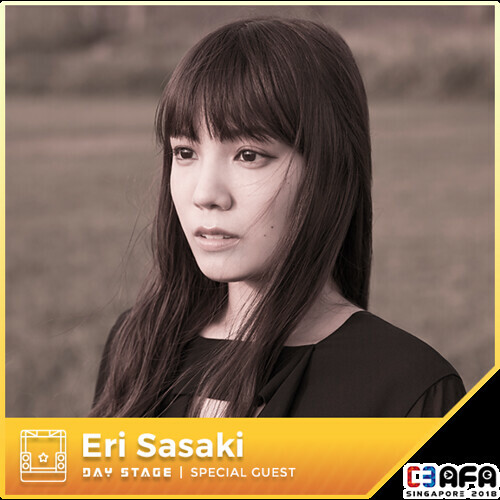 He has contributed his work to various projects, including his intepretation of AFA’s very own mascot character Seika, as well as Sakura Asashina, the mascot character of the Anison Fitness program. He is also the lead character designer of the upcoming anime The Price of Smiles, a project celebrating Tatsunoko Production’s 55th Anniversary, airing in January 2019. 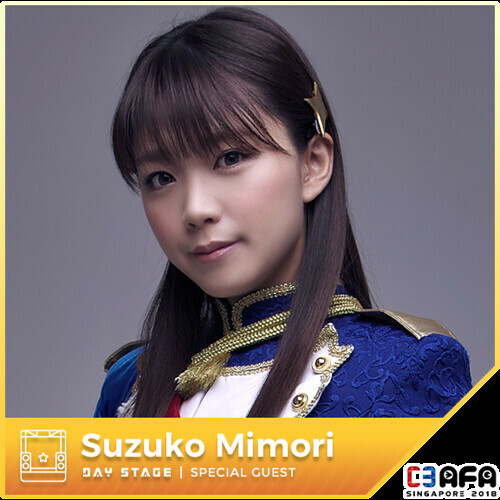 Suzuko Mimori has roles in many TV Anime, including “Tantei Opera Milky Holmes” “Love Live!”, “Yuki Yuna is a Hero”m “Revue Starlight” amongst others. She debuted as a solo artiste in April 2013 with her single, “Aitai yo… Aitai yo!”, and celebrated her 5th anniversary in 2018. On 27 June 2018, her 4th solo album ‘tone.’ was released. 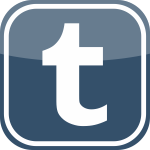 With ‘tone’ (tint) being the central theme, various ‘tones’ (music) was presented, helped the presence of a luxurious lineup of music creators. On 4 August the same year, and then on 12 August, she held to great success, “MIMORI SUZUKO 5thAnniversary LIVE 「five tones」” at the Grand Cube Osaka and Pacifico Yokohama respectively. Coming up, she will be releasing a concept mini album “holiday mode” on 20 February 2019. 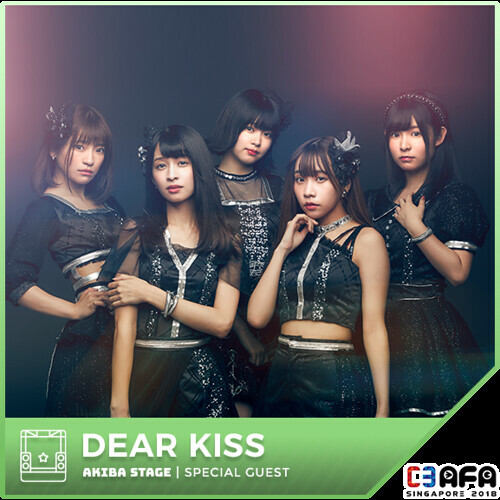 In April 2016, DEAR KISS officially started. It has been decided that they will appear in TOKYO IDOL FESTIVAL known as one of the biggest idol events, only after 4 months from the debut. Their first mini album reached 1st placei n J-POP charts‘ Orikon Daily’. They held the first live concert at Shinjuku BLAZE on 20th August 2016. On that stage, they incorporated Saki Shishima’s ideas and which enabled them to introduce many kinds of directions such as the stage mixing dance and projected image, debuted 3 songs, focusing on singing without dancing and so on. Despite the fact that they are still a new face, they attract audiences with very challenging performance. As a result, the solo live performance ended very successfully. They held the 2nd solo concert at Shibuya TSUTAYA O-WEST on 23rd November 2016. After releasing their first single SHINY SHY GIRL that achieved 5th rank in the Oricon daily, they had the new song’s event almost every day for one month, followed by the 2nd solo concert. The concert made a huge success with full of fans. In spring 2017, they made a drastic step of touring 7 different cities all over Japan. This entry was posted on 1st November, 2018 by yunamon. 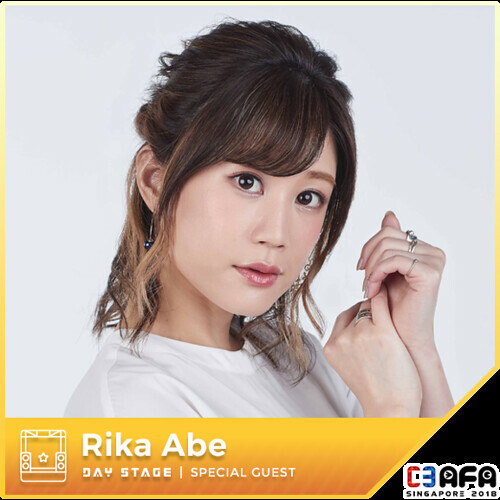 It was filed under C3AFA2018 and was tagged with Abe Atsushi, Abe Rika, AFA, angela, Anime, Anime Festival Asia, C3AFA2018, Concert, Cosplay, Dear Kiss, Earphones, Event, Figures, Furihata Ai, GARNiDELiA, Kayano Ai, Kishidakyodan and the Akeboshirockets, Koyama Momoyo, May'n, Mimori Suzuko, nano, Nishizawa Shiena, nob-c, Otaku, Real Akiba Boyz, Saito Shuka, Sasaki Eri, Seiyuu, Singapore, SOZO, Spyair, Sumire Morohoshi, Tanaka Minami, Terui Haruka, Tielle&Gemie, Trip, TrySail, Yamazaki Erii, YURiKA.